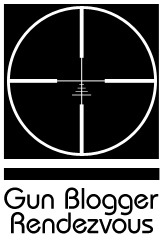 Long-time Gunblogger Kim du Toit bids farewell to the blogpsphere today. Drop by and and pay him a visit . Springfield Armory NRA Camp Perry Limited Edition 1911. Mil-spec, Stainless .45 ACP with 8 magazines. No 223 of 500 pictured. [Click pic for large view] 88 on hand as of now. Click here to see current inventory . It’s great to be back in the USA! Returned from Mordor at 7:34 PM Check back later for more Gun Pr0n posts! Who wants to meet up on the Saturday after Thanksgiving for some shootin’ at the Sooper Sekrit Shootin’ Spot? 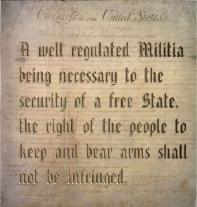 Article II – via A Keyboard and a .45 JR has a keeper. 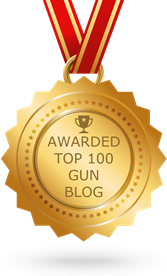 Gun Pr0n! What did the Big Brown Truck of Joy deliver this week? Oh my, it’s a Heckler & Koch MP5 SD. [Click pic to embiggify]. This is the final weekend to shoot the October e-Postal Match Targets. Midnight, Pacific Time on Sunday, November 2 is the deadline for sending scores & scans of your targets. Details, targets and rules are here . I’m off to the range!